IBC takes the impending Brexit situation very seriously and has over the last several months consulted with all our manufacturing and supplier partners, reviewed supply chains, logistics and stocking options. Please endeavour to place orders as early as possible to mitigate any potential supply chain delays. IBC is confident that it can ensure supply no matter what kind of Brexit unfolds. 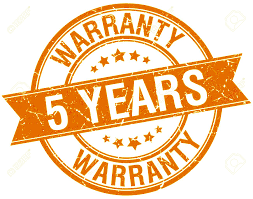 ....................and to back up this statement we are now providing 5 years warranty on IQ4 & IQ4 I/O*. *This is applicable on Trend systems installed with IQ4 controllers and IQ4 I/O modules. 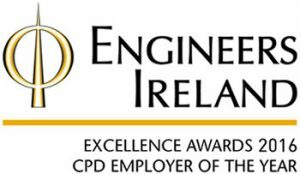 For systems which contain a mixture of IQ4 controllers & 3rd party I/O modules the extended warranty is not offered and our standard 2 year warranty applies as this solution increases the risk to the Trend hardware installed. Offering a solution with Trend IQ4 Controllers and Trend I/O modules provides the best long term investment for our mutual end-users. It improves the long term supportability and is future proofed. So keep it simple, keep it Trend and benefit from the extra 3 years of support and protection on your Trend Controllers. This extended warranty does not include parts of the product that are implemented to prevent cyber security issues, when it is no longer reasonable to continue to provide security updates to firmware due to advances in or availability of 3rd party components or processing performance and capacity of the original product. We have updated our standard partner Terms & Conditions document to reflect this very positive change. Intelligent Building Controls Ltd (IBC) will close from Thursday December 21st 2017 at 15.00 and re-open on Tuesday 2nd January 2018. IBC wishes all our customers and suppliers a Peaceful Yuletide and Happy New Year. 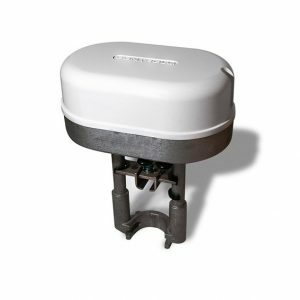 Universal Valve Actuator, Yes or No? Introducing IBC’s new Valve Retrofit Tool application. An innovative valve retrofit solution from IBC’s technical team. 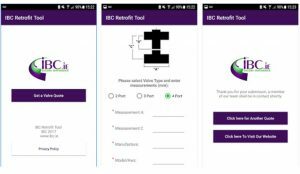 IBC retrofit tool is an application which provides seamless interaction with our sales team. Users can send us measurements and a photo to attain a valve quote. Simply fill out each of the corresponding details and follow the on-screen prompts and submit. Go to the Google Play store HERE.